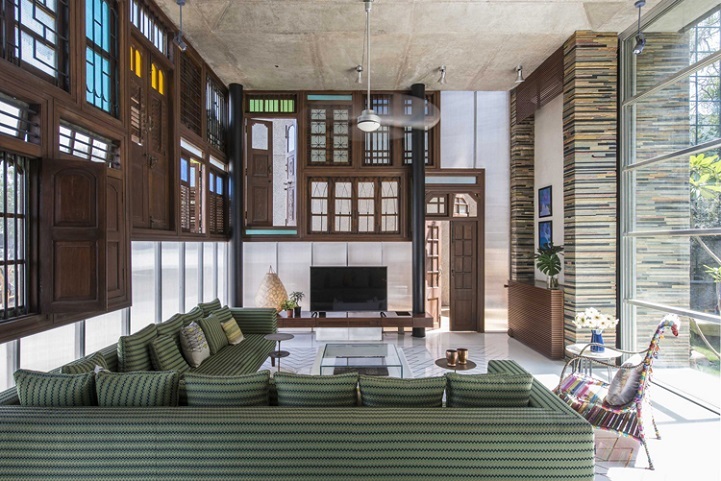 The heart, soul and architectural vernacular of Mumbai infuses a grand new modern residence in the form of reclaimed doors and windows, many bearing the remains of old paint in vivid greens and blues, mounted to the facade. 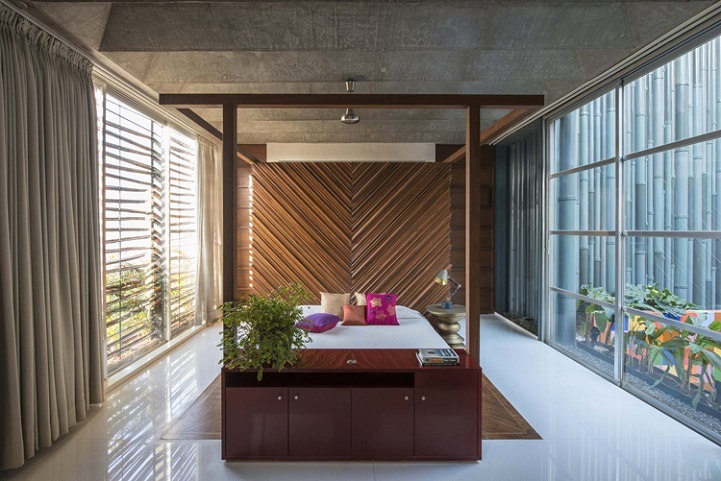 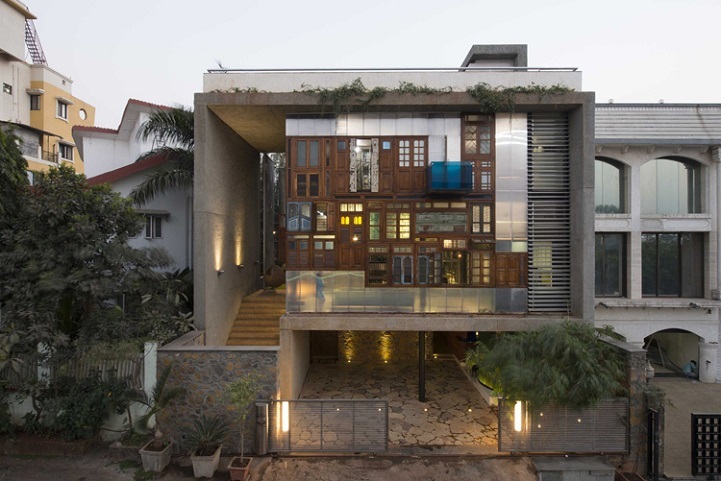 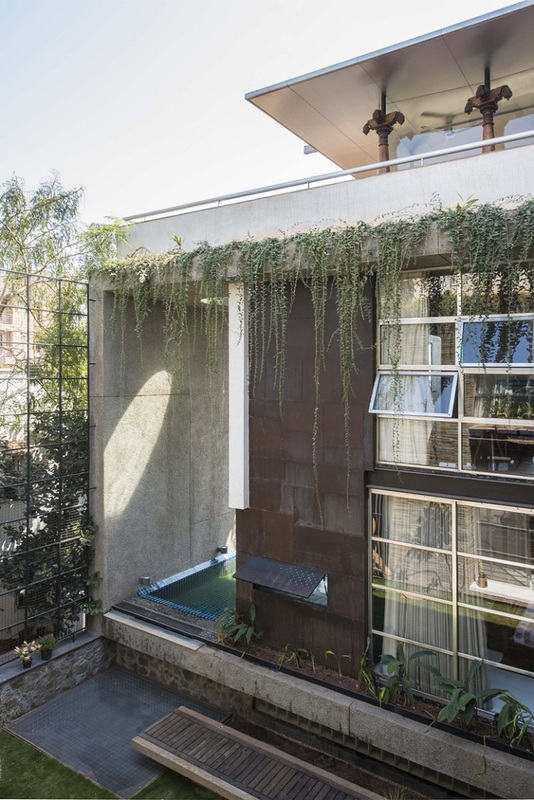 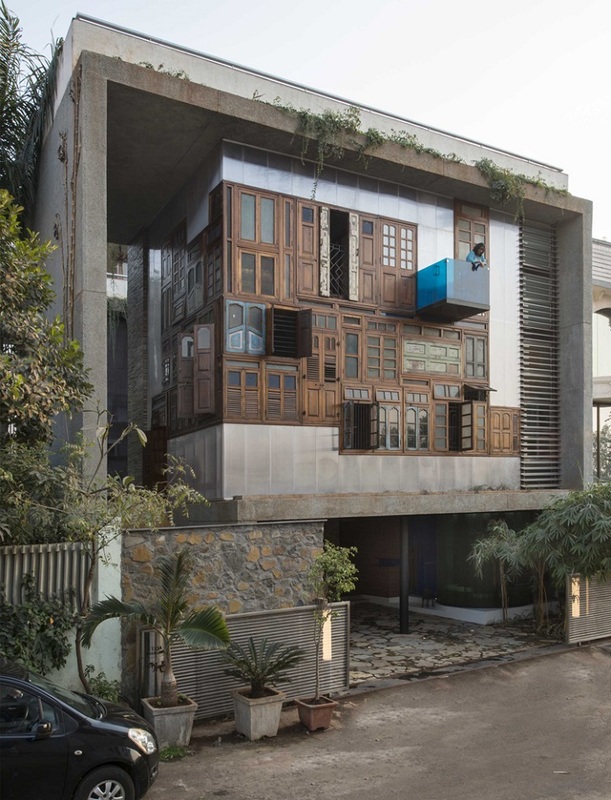 Otherwise presenting itself to the street as a concrete box in a neighborhood of homes that have been cobbled together from found materials, as Mumbai residents have been doing for hundreds of years, the house creates a transition between the traditional and the contemporary. 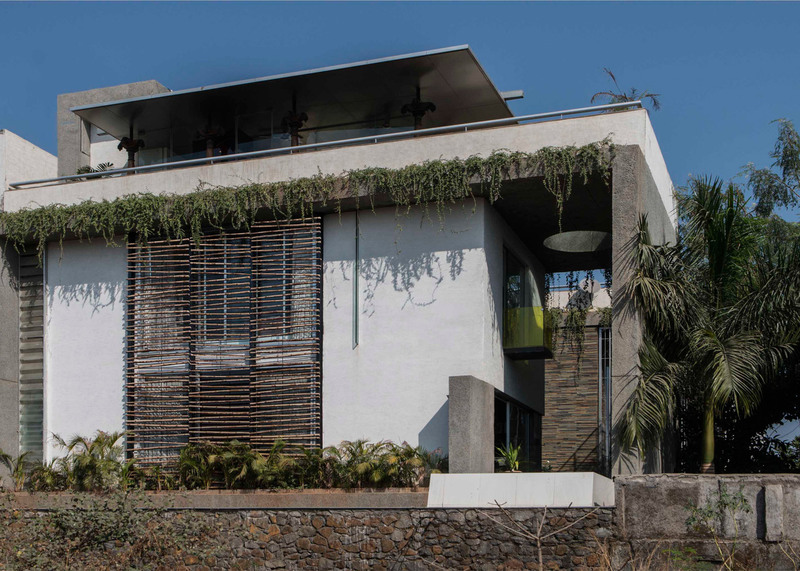 Inspired by collage, S+PS Architects gathered beautiful, decorative shutters and doors, arranging them in an asymmetric yet harmonic composition, emphasizing geometric lines and shapes. 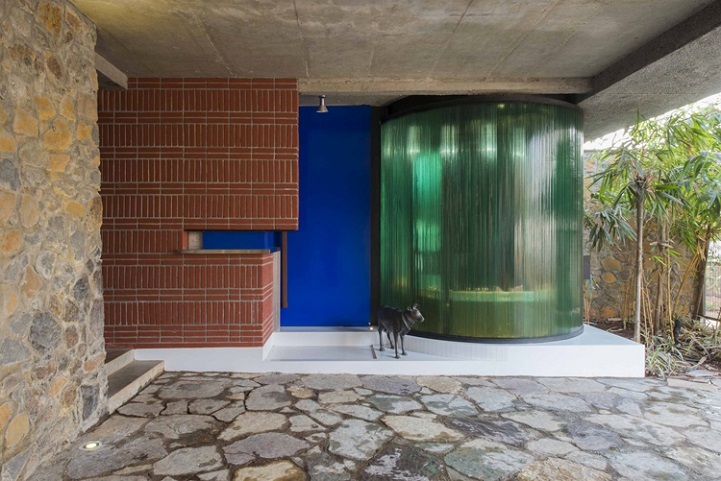 The glass within many of them is stained, streaming through to the living room in pastel hues. 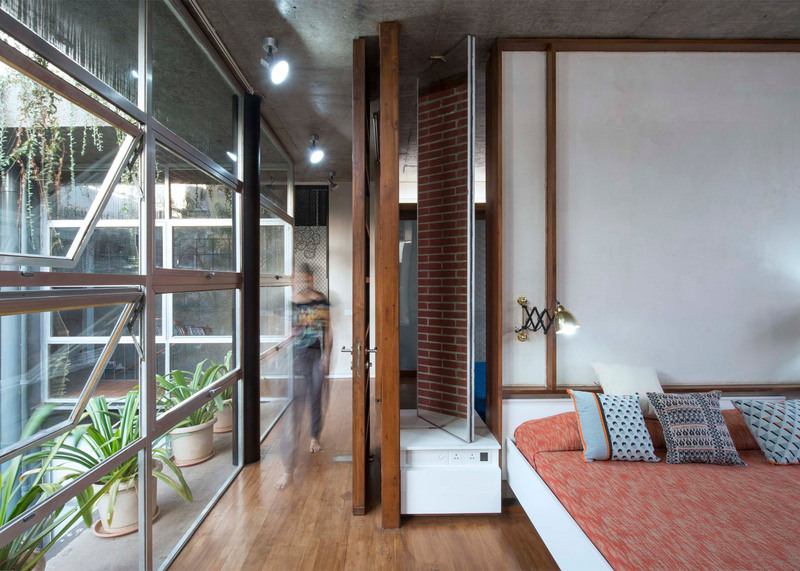 Industrial metal pipes add visual interest to a wall, and century-old columns support the ceiling. 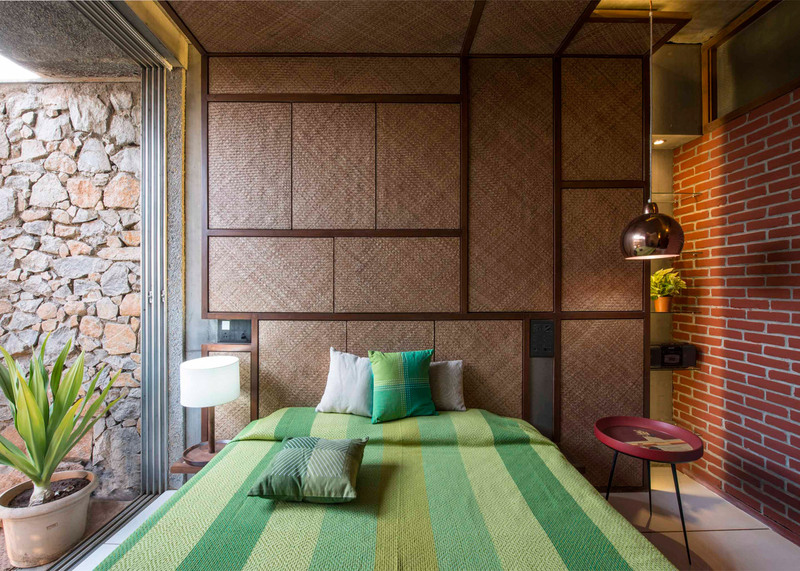 This mix of old and new is carried through to the interior, where cozy, classic furniture contrasts with concrete and glossy white surfaces or melds with walls of traditional tiles and rattan appliqués. 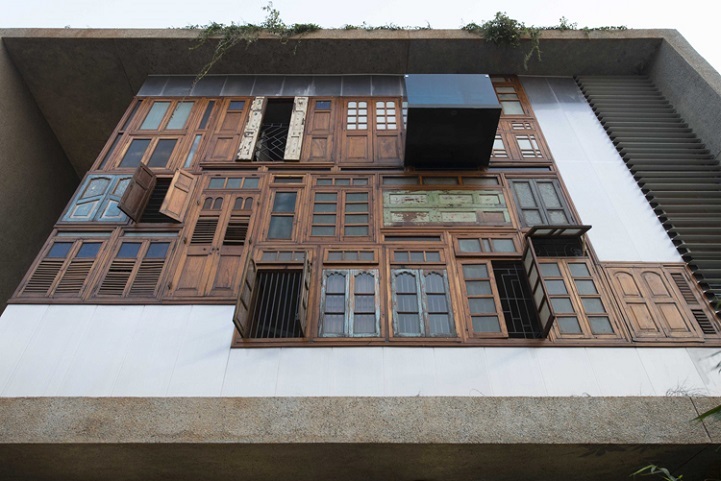 Old textile blocks, flooring made of Burma teak rafters rescued from a demolition project, and fabric waste known as ‘chindi’ are among the other reclaimed elements. 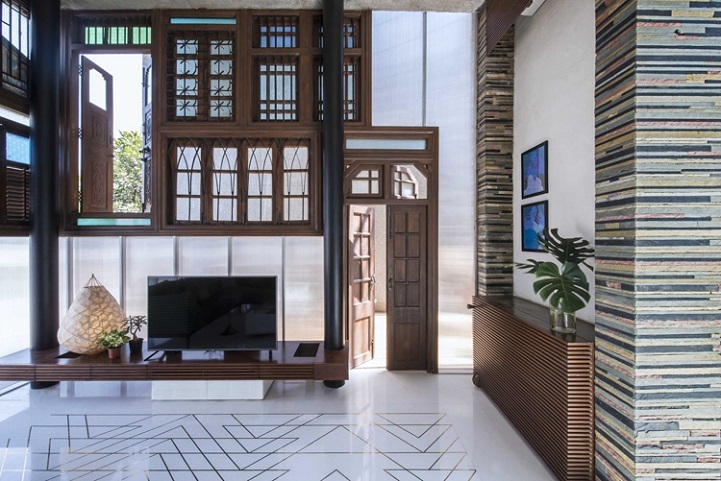 Brass inlays zig-zag across a polished white marble floor next to a wall of old windows facing a lush courtyard. 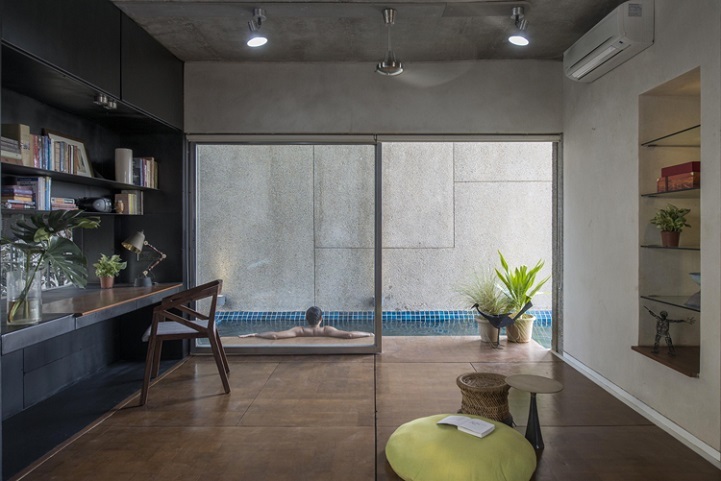 Indoor and outdoor spaces fade into one another, with swimming pools, water features and intricately woven screens livening up virtually every corner. 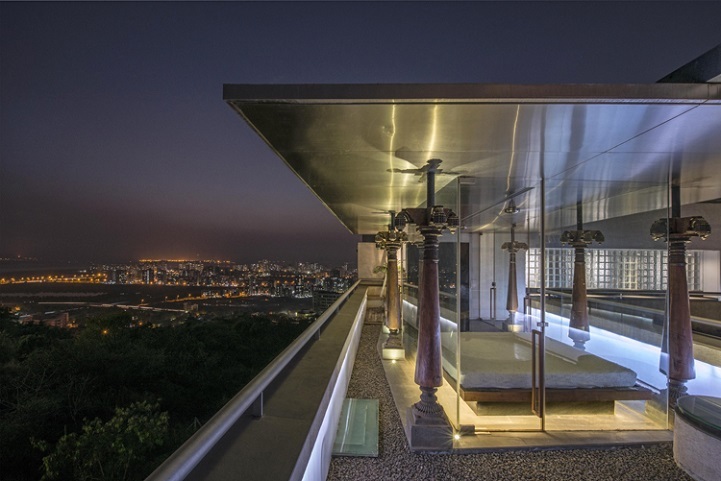 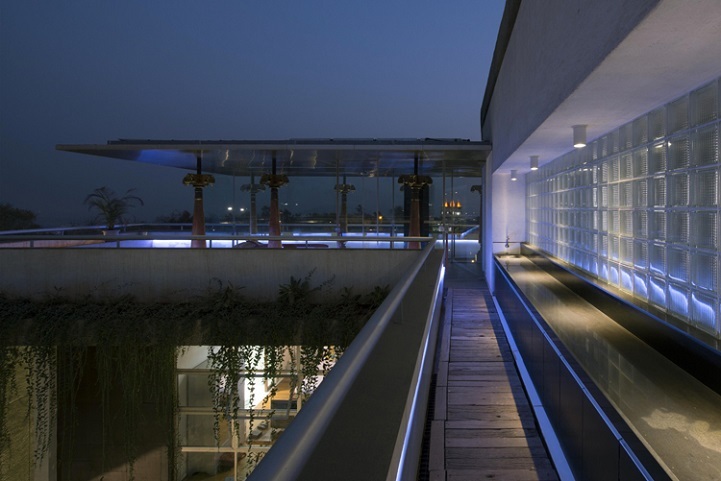 The spacious home was designed to accommodate four generations of the same family, and the many meandering living spaces inside lead to a stunning glass lookout on the roof, where a bed looks out onto the lights of the city.